Yes. 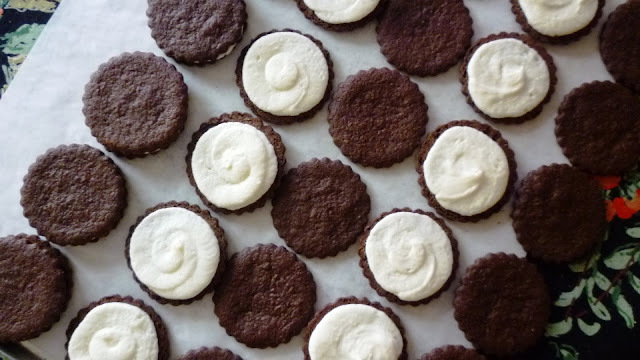 The title of today's post is code for Oreos. I don't think Nabisco appreciates it when people use their word for these cookies.... 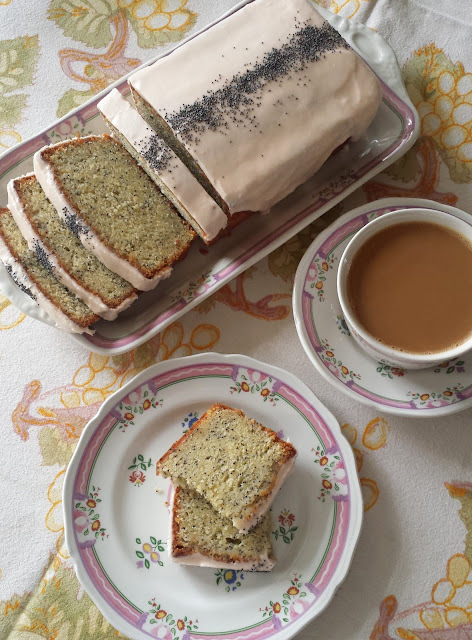 Hence, the many euphemisms employed by bakers all over the country: Thomas Keller's "TKOs", Emily Luchetti's "Stareos" (with the cookies cut in the shape of a star), and the many, many versions (King Arthur Flour and The New York Times, just to name two) that go by the name "Faux-reos". I'm sure there are others. It is a testament to the beloved status of this childhood, processed food favorite that revered chefs (like Keller and Luchetti) have come up with their own scratch-made, adult versions. 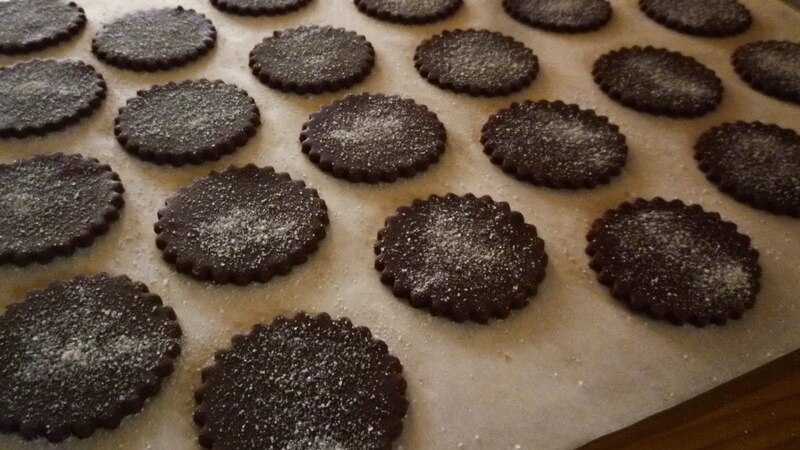 My recipe is similar to that of Keller and Luchetti (as well as a few others) in that I make a shortbread-style cookie for the chocolate wafer portion. Because it lacks egg and chemical leaveners (which are included in a lot of the other versions I ran across), classic shortbread doesn't puff much—and more importantly, doesn't spread at all—during the baking process. 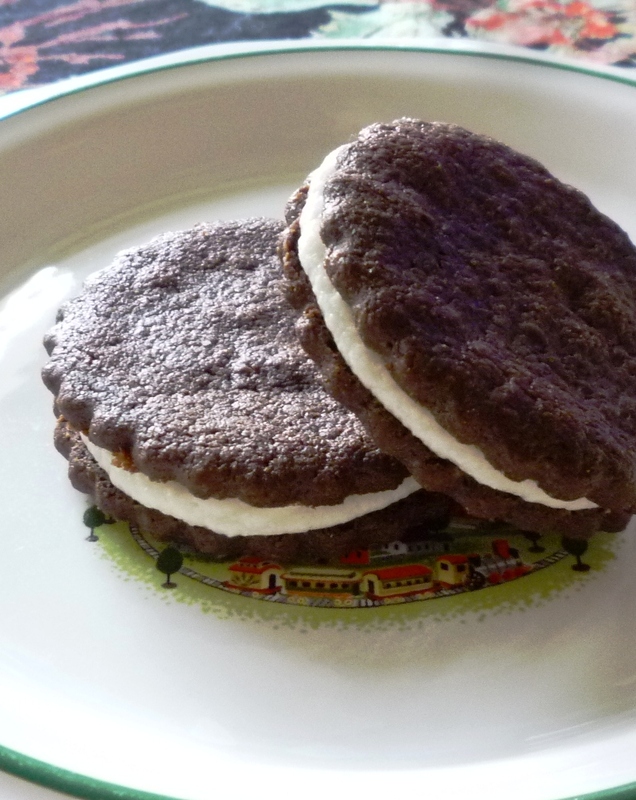 It bakes into a tender, slightly crisp cookie...just like the chocolate wafer of a real Oreo. 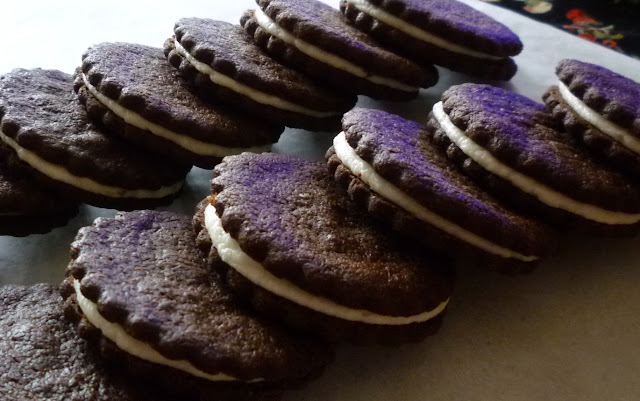 Other than nostalgia, the lasting appeal of the Oreo lies I think, in the contrast between the deep—and slightly bitter—chocolate flavor of the cookie and the sweet—almost too sweet—cream filling. 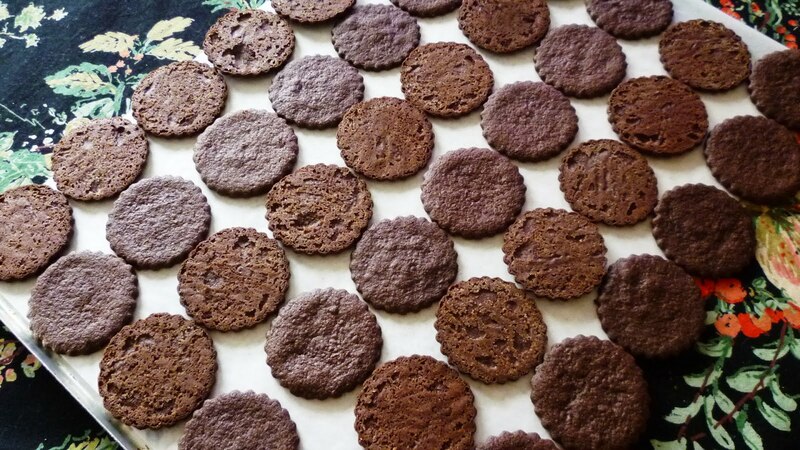 To get this contrast in my homemade version I used a fairly high percentage of cocoa (replacing 25 % of the weight of the flour) in one of my favorite plain shortbread recipes. I increased the sugar only a small amount so as to preserve the punch of the cocoa flavor. The resulting cookie had the exact deep, sharp, cocoa profile I was looking for. It contrasted perfectly with the traditional, sweet, American-style buttercream frosting that I used for the filling. I loved Oreos when I was a kid. My mother didn't tend to purchase prepared sweets (or processed foods in general...). But I managed to get my Oreo fix at my paternal grandparents' home. 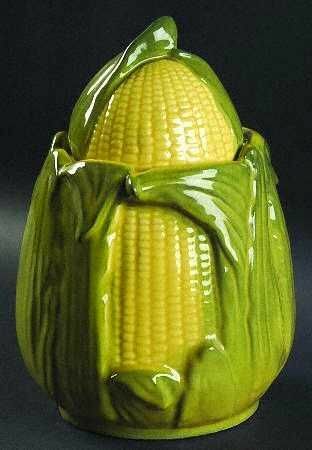 There, they always had a stash in their "Corn King" pottery cookie jar. (Apparently they were my Grandfather's favorite cookie for his workday boxed lunch.) Whenever I visited, I was allowed to indulge pretty much to my heart's content. My hand was in and out of that cookie jar far more often than was good for me. And now, as I think about it, those Oreos are probably responsible for sowing the seeds of not only my sugar habit, but also my coffee habit. My grandmother and her sister liked to dunk their Oreos in their coffee. Since it seemed so grown up, I wanted to do it too (and they of course let me...). These days I prefer my Oreos with ice cream. And I am not alone in this. When I served my homemade version to my family last weekend I saw more than one person drop their cookies right into their bowl of ice cream, breaking the cookies into pieces with their spoons as they dug in. 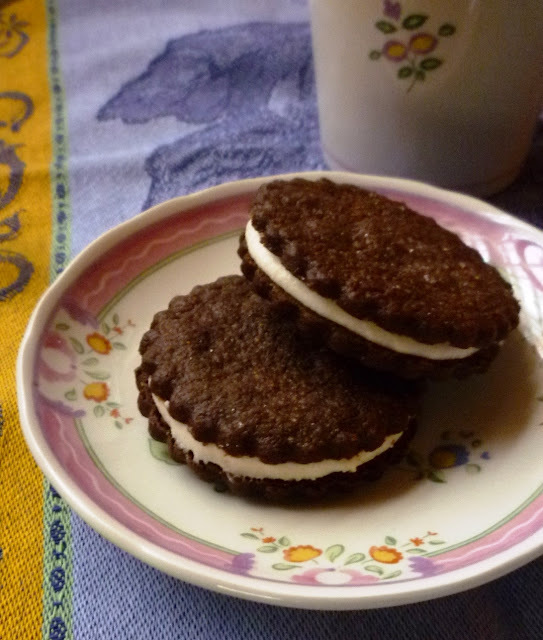 But if you don't have ice cream, I am happy to report that these cookies will make a fine accompaniment to your afternoon cup of coffee or tea. Whether you dunk them or not is entirely up to you. Make the chocolate wafer cookies: Whisk together the flour, cocoa and salt. Set aside. In the bowl of an electric mixer fitted with the paddle attachment, briefly cream the butter and sugar (just to combine). Beat in the vanilla. Add the dry ingredients and mix on low speed until the dough just comes together. The dough should be stiff and firm. If it is not, chill. On a lightly floured surface, roll about a third of the dough out into a 1/8-inch thickness. 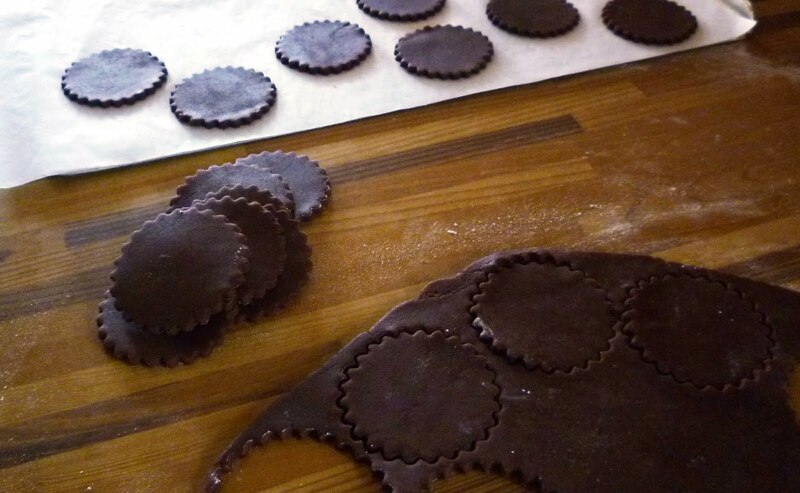 Cut with a 2-inch round (smooth or scalloped edge) cookie cutter and transfer the cookies to a parchment-lined baking sheet. (The cookies do not spread, so they can be placed within a half inch or so of each other....you should be able to get 24 to 30 on a sheet.) Gather the scraps and combine with half the remaining dough, rolling and cutting as before. Repeat the process with the remaining dough and scraps. Reroll the last of the scraps once. If you like, sprinkle the cookies with a little sugar. Bake the cookies in a 325° oven until set...about 17 minutes or so (start checking at 15). Let cool for a minute or two on the sheet before transferring to a wire rack to cool completely. You should have about 5 to 5 1/2 dozen chocolate wafers. Make the filling: Place the butter, powdered sugar, vanilla and 1 1/2 T. of milk in the bowl of a stand mixer fitted with the paddle attachment. Mix on low until the ingredients come together. Increase the speed to high and beat for five minutes—or until very light and fluffy. If the cream seems at all stiff, beat in another 1 to 1 1/2 t. of milk. Make the sandwich cookies: Spread half of the cookies out on your work surface with the bottom of the cookie facing up. Fill a piping bag fitted with a 1/2-inch round tip with the cream filling. Pipe a flat spiral of the cream on half of the cookie wafers (the ones with the bottoms facing up), starting at the outside edge. 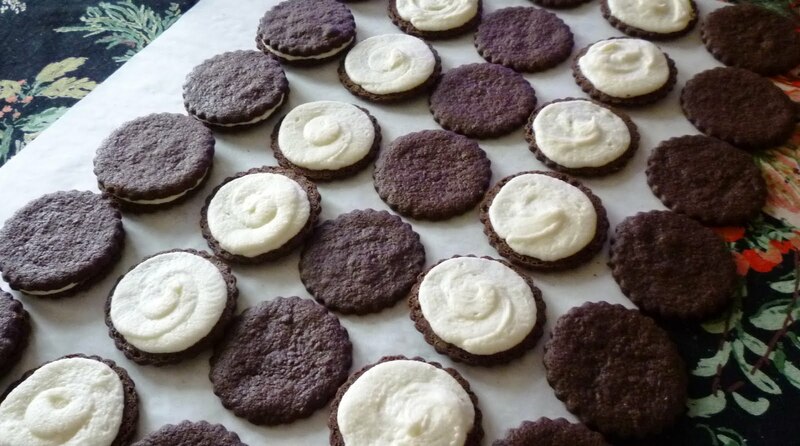 Place the unfrosted cookie wafers (bottom facing down) on top of the frosted ones, pressing very lightly so that the filling comes out to the edge. You should have about 30 sandwich cookies.